‘good job, nando- youve made n’gog look n’ferior once again. Rafa is a idiot manager! Carlsberg don’t do overpaid show ponies but teh sponsor probably the worst in the world. 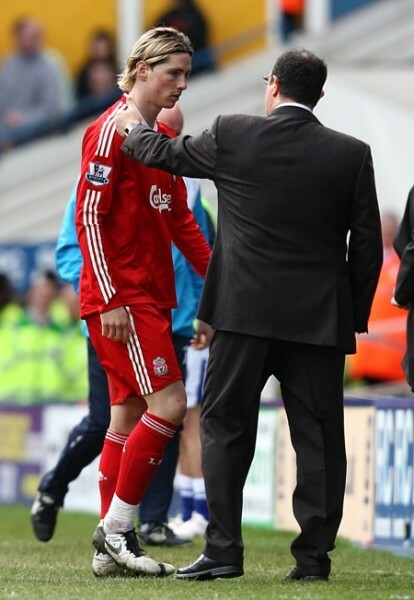 Rafa: Hey, if they’re taking me out of the Liverpool manager position, I’m taking you out of the game. honestly, this man makes me sick… how could he take of our best player, and our best scorer WHEN we needed a goal so hardly…. i think rafa doesnt care about the league,he s looking for euro league glory… poor poor spanish waiter…. we need a new coach,for sure. rafa out and yanks out NOW!! !